Our 30" nickel-colored, metal ball chains are our most popular beaded chain lanyards. 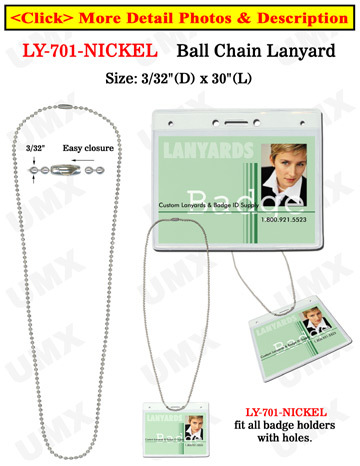 The metal ball chains can be used with name badges, ID holders or name tags. The metal ball chains are durable and can be purchased at a low price. We wholesale the ball chains with a factory direct, low price to wholesalers, retailers and individuals.